Nobody could have expected the Interim Budget of a government that is going into the Lok Sabha polls to not keep in mind its most vulnerable voters. Prime minister Narendra Modi and his team of ministers — Arun Jaitley and Piyush Goel — did just that but, at the same time, also resisted the temptation of being too populist just for the sake of votes. 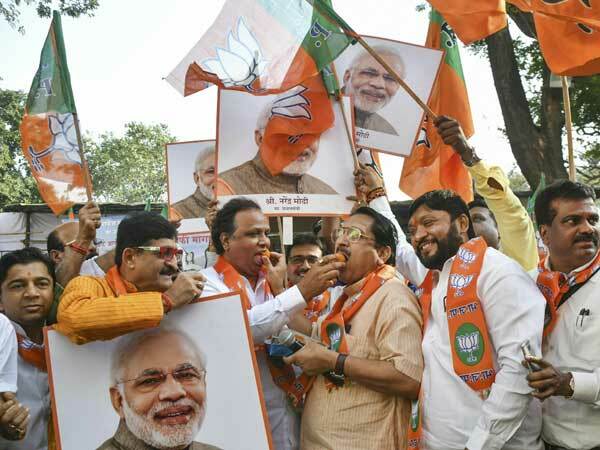 One must remember that the BJP is still to recover from its shocking defeat in assembly elections in Madhya Pradesh, Rajasthan and Chhattisgarh, which together account for 65 Lok Sabha seats. But Modi did not want the fiscal deficit to hit the roof just because the BJP must do everything under the sun to win the polls. He resisted grand announcements, considering the long-term consequences of playing upto the political gallery. Right from the beginning of the preparation of the Budget, Modi got Jaitley and interim finance minister Piyush Goel to keep the fiscal deficit at 3.4 per cent of GDP in 2019-20, revising it from 3.3 per cent envisaged in 2018-19. There was little room for any financial adventurism. The PM felt that yielding to the temptation of populist spending could worsen matters unless specifically targeted at the most deserving sections of the society — even if it may not create euphoria. Responsible and honest politics requires a budget that is best in the possible circumstances and gives hope to the incumbent to return to the finish uncompleted tasks once the people hand out the mandate again. In doing so, Modi has showed that he still retains the confidence of returning to power even if some political narratives do not overwhelmingly favour the BJP, particularly after the last round of the elections. Major measures that Goyal presented in the Budget fit in the category of addressing those sections of BJP voters of 2014 who need some relief urgently. They also connect to the major segments of the population — farmers, informal workers, and salaried taxpayers who were hoping for relief. A Rs 75,000 crore assured income scheme for 12 crore small farmers under “PM Kisan Samman Nidhi Yojana” will bring an assured income support of Rs. 6,000 per year — through direct cash transfer to farmers’ back accounts. Starting from December 2018, it will be paid in three instalments of Rs. 2,000. There is criticism that this does not work to more than Rs 500 a month for a farmer. But the critics must remember that it is a measure for “income support” and not an ambitious minimum guaranteed income, which the Congress is ready to promise in its manifesto for the 2019 polls. Modi and BJP leaders realised the extent of rural distress when the incumbent BJP governments (that lost the polls in the Hindi heartland) could do nothing to boost farm incomes. At least, Modi hopes, the new scheme will show the government’s intent to bring a structural solution to a persistent agricultural crisis. Similarly, tax sops for three crore lower middle-class individual taxpayers are for ones with annual income up to Rs. 5 lakh and even less. Those earning Rs 6.5 lakh a year too may not need to pay tax if they made full use of the Rs 1.5 lakh exemption available under Section 80C of the Income Tax Act. Besides, the standard deduction limit for salaried taxpayers is to be raised to Rs 50,000 from the Rs 40,000 announced in last year’s Budget. This will also provide additional tax benefit of Rs 4,700 crore to more than three crore salary earners and pensioners. Further, the TDS threshold for deduction of tax on rent has also been proposed to be increased from Rs 1,80,000 to Rs 2,40,000. Modi and BJP leaders had been arguing for something relief for the middle-class. In the July 2014 budget, the government had increased the basic exemption limit to Rs 2.5 lakh from Rs 2 lakh, and raised the deduction limit for savings under section 80 (C) to Rs 1.5 lakh from Rs 1 lakh. The deduction limit of interest for self-occupied house property was also raised to Rs 2 lakh from Rs 1.5 lakh. In 2017-18, the government reduced the tax rate to 5 per cent from 10 per cent for the tax slab of Rs 2.5 lakh to Rs 5 lakh. In 2018-19, it introduced a standard deduction of Rs 40,000 for the salaried class. But the feedback from even BJP voters was the growing feeling of neglect among the lower middle-class, which necessitated a relook. Arguably, a new initiative by way of a pension scheme for 10 crore unorganised sector workers with monthly income up to Rs. 15,000 fits with Modi’s attempt to address the grievances of those who have remained out of focus of successive governments. For them, the initiative means an assured monthly pension of Rs. 3,000 after they retire on reaching 60. These direct measures from the Centre cover a large class of voters who were getting disenchanted with Modi’s “ache din” slogan. These voters are the ones who are being wooed by the opposition, alleging that Modi failed to delivering on his promises to the poor. Of course, many critics have questioned Modi for an interim budget that has major tax measures. But they must remember this is not the first time. Then-finance minister P. Chidambaram announced — in the interim budget in February 2014— excise duty cuts for the manufacturing sector, including capital goods and automobiles, effective till 30 June that year, so that the decision could be reviewed at the time of the full budget. In February 2009, then-finance minister Pranab Mukherjee extended the interest subvention scheme to help exporters battling global recession in sectors like textiles, carpets, leather, gems and jewellery. Even SMEs got pre- and post-shipment credit from banks at an interest rate that was two percentage points lower. What must be noted is that Goyal did pepper his Budget speech with an account of details of flagship initiatives such as Ayushman Bharat, Pradhan Mantri Jan Ausadhi Yojana, Make in India, Jan Dhan Scheme, Start Up India, MUDRA and the Insolvency and Bankruptcy Code (IBC). This underscored what Modi considered to the BJP’s best talking points for the Lok Sabha polls. Similarly, by proudly owning up demonetisation, Modi wanted to show that the government was not apologetic and vowed to continue the crackdown on India’s black economy when the opposition is emphasising on job loss. Fighting corruption will remain the PM’s major plank in the coming elections. As for the lack of job opportunities, the PM is willing to take the battle further by citing formalisation of India’s labour market, self-employment opportunities through MUDRA loans, growing start-up entrepreneurship and jobs created by infrastructure projects such as roads and bridges. As for the “Vision 2030” outlined by Goyal, Modi’s wish is to show to the electorate that they had to chose between him and a motley of parties if they wished to see India as a modern, high-growth and transparent society.